New York, NY (THE WIRE PRESS) – Time Inc.’s (NYSE:TIME) ESSENCE FESTIVAL, now among the largest consumer live events in the nation and hosting more than 550,000 annually, is thrilled to announce the all-star, night-by-night lineup of performers from June 30 to July 3 in New Orleans. Newly announced to the 2016 festival lineup are Puff Daddy & The Family, a conglomerate of past and present Bad Boy Records artists and affiliates presented by Sean “Puff Daddy” Combs and award-winning hip-hop artist Common. The A-list nighttime concerts featuring more than 40 acts will take place across five stages in the Superdome throughout the weekend—on the festival’s renowned Mainstage and in the intimate Superlounges, which for the first time will feature a special curation by Estelle. On Saturday night, Estelle will offer a unique musical experience that will include an eclectic DJ as well as performances by Wizkid and Lady Leshurr. Friday, July 1, Mainstage: Maxwell, New Edition, Kenny “Babyface” Edmonds, Tyrese, Faith Evans, Avery Wilson. Superlounges: Digable Planets, Daley, Eric Bellinger, Estelle, Lion Babe, The Internet, Tweet, Mali Music, V. Bozeman, Kelly Price, Zakes Bantwini, Skye Wanda. Saturday, July 2, Mainstage: Mariah Carey, Charlie Wilson, Common, Jeremih, Estelle. Superlounges: Doug E. Fresh, Tink, Jidenna, Preservation Hall Jazz Band, St. Beauty, Lalah Hathaway, Judith Hill, Wizkid, Lady Leshurr. Sunday, July 3, Mainstage: Kendrick Lamar, Puff Daddy & The Family, Ciara, Andra Day. Superlounges: MC Lyte, Dej Loaf, Cyril Neville, Leon Bridges, Kehlani, New Breed Brass Band, Robert Glasper Experiment, BJ The Chicago Kid, The Brand New Heavies, Little Simz. Nephew Tommy from “The Steve Harvey Morning Show” will return as the Mainstage host, with more surprise guest performances to be announced. Single-day tickets go on sale today and are priced starting at $50 per person per night. For more information about ticket sales and accommodations and for the latest news about the ESSENCE FESTIVAL, visit www.essencefestival.com, join the festival community by following us on Twitter @essencefest #EssenceFest and become a fan of 2016 ESSENCE FESTIVAL on Facebook. EDITOR’S NOTE: To apply for media credentials to the 2016 ESSENCE FESTIVAL NOLA, click here. The 2016 ESSENCE FESTIVAL is executive produced by ESSENCE Festivals LLC, a division of ESSENCE Communications Inc., and is produced by Solomon Group. GeChar is the executive producer of the 2016 ESSENCE Empowerment Experience. 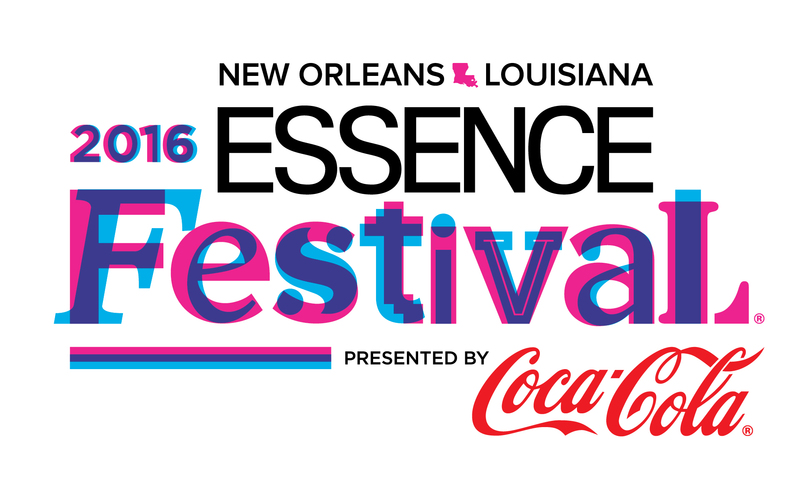 Sponsors of the 2016 ESSENCE FESTIVAL in New Orleans include presenting sponsor Coca-Cola and major sponsors Ford, McDonald’s, State Farm and Walmart. Essence Communications Inc. (ECI) is the number one media company dedicated to African-American women, with a multi-platform presence in publishing, live events and online. The company’s flagship publication, Essence magazine, is the preeminent lifestyle magazine for African-American women, generating brand extensions, such as the Essence Festival, Essence Black Women in Hollywood and Black Women in Music, Window on Our Women and Smart Beauty consumer insights series, Essence.com, and ventures in digital media (mobile, television and VOD). For 45 years, Essence, which has a brand reach of 14.2 million, has been the leading source of cutting-edge information and specific solutions relating to every area of African-American women’s lives. Additional information about ECI and Essence is available at www.essence.com.